FAYETTEVILLE, Ark. 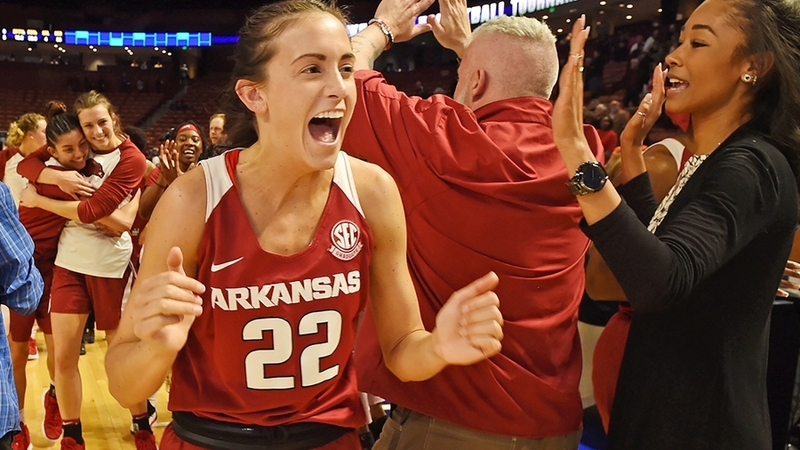 – The University of Arkansas women’s basketball team has earned the program’s seventh selection into the Women’s National Invitational Tournament. Arkansas (20-14) opens first round action at home hosting the Houston Cougars (15-15) in Bud Walton Arena at 7 p.m.Thursday, March 21. Postseason tickets are on sale now online. Contact the Razorback Ticket Center at 479-575-5151 for more information .